This easy breezy summer sundress is perfect to throw on during warm summer months for a cute and casual style. It comes in two color options for you to choose from! The Natural Woman Cotton and Lace Dress is fully lined. The top part is made of crochet lace. It has a subtle V neckline, spaghetti straps, and a fabric cutout on each side. The attached skirt is made of a gauzy fabric. Fabric cutouts in the back and a hidden back zipper complete this dress. 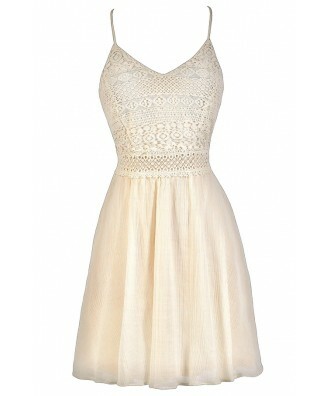 The Natural Woman Cotton and Lace Dress looks nice paired with beige wedges or pumps. Or wear it casually with flat beaded sandals and an oversized bag. Details: Fully lined. Hidden back zipper. 100% cotton. Contrast: 55% cotton, 45% nylon. Lining: 100% polyester. Hand wash cold water. Do not bleach. Line dry. Iron low. Do not dry clean. Small measurements: Length from top of shoulder to hemline: 33". Bust: 31". 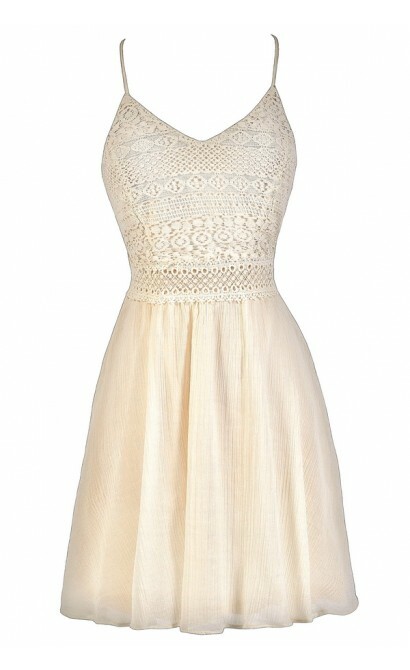 You have added Natural Woman Cotton and Lace Dress in Cream into Wishlist. 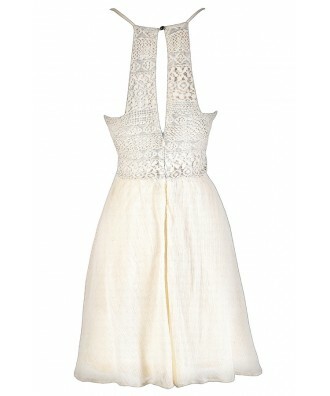 You have added Natural Woman Cotton and Lace Dress in Cream for Stock Notification. 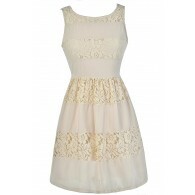 You have set Natural Woman Cotton and Lace Dress in Cream as a loved product. 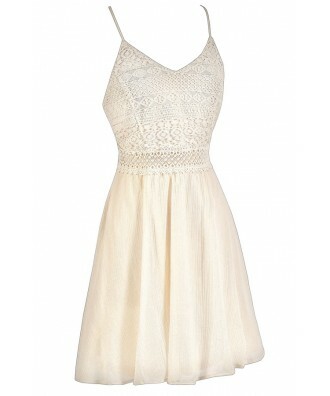 You have removed Natural Woman Cotton and Lace Dress in Cream as a loved product.